The spreadsheets presented in earlier posts in this series have been simplified for use with rectangular sections with two layers of reinforcement. 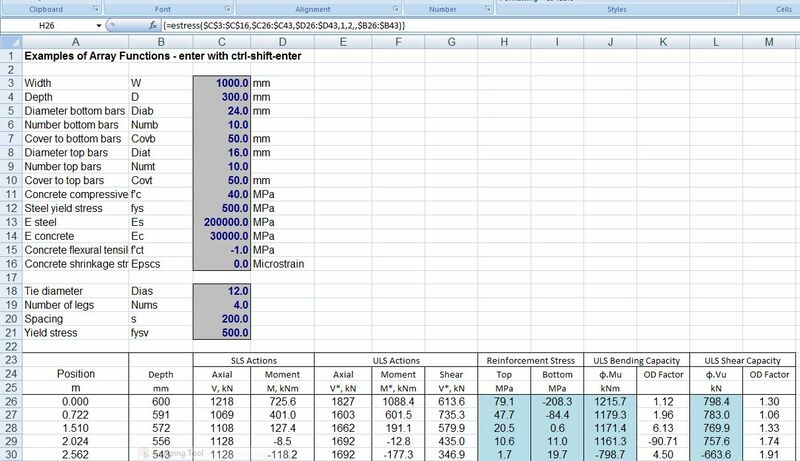 The functions EStress (for elastic analysis of stresses, strains and crack widths) and UMom (for the ULS analysis of bending, axial load and shear capacity) can be found in the spreadsheet RC Design Functions7. 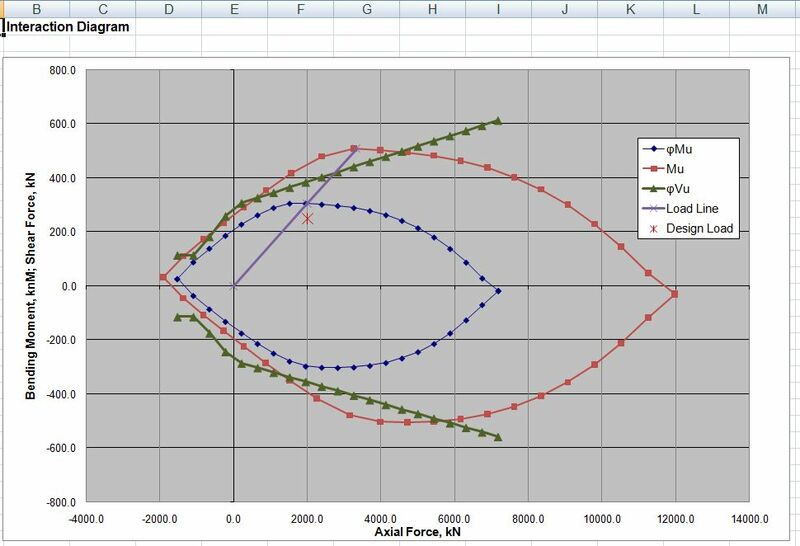 This entry was posted in Beam Bending, Concrete, Newton, UDFs and tagged Beam Bending, Reinforced Concrete, Section Analysis, UDF, Ultimate capacity, VBA. Bookmark the permalink. The excel file link does not work. Could you please upload it again? I have updated the link, but note that this post is nearly 9 years old. All the latest download files are available from the Downloads and Downloads by Category tabs at the top of the page.